The road to simplicity is usually long and convoluted. Fortunately, contemporary design seems to embrace simplicity, which is one of the main trends in 2017 commercial interior design – and often hard to achieve. 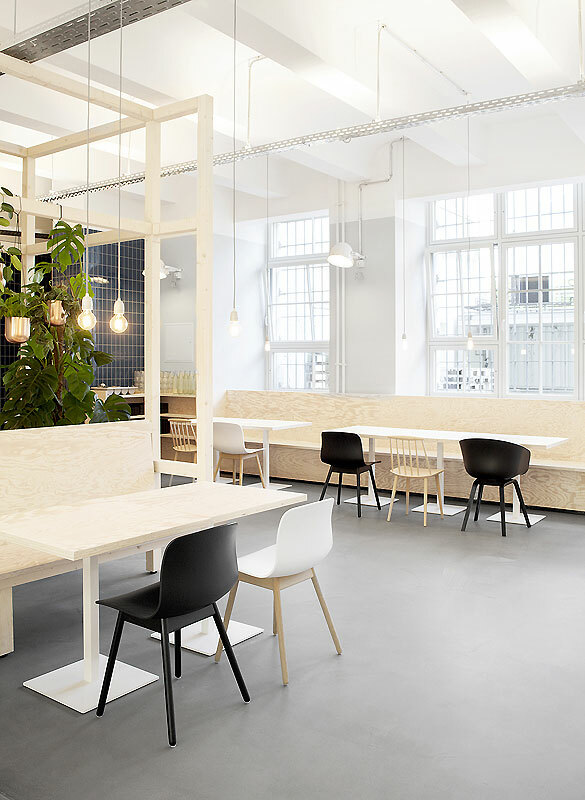 Here is a great example of simple yet effective interior office design. 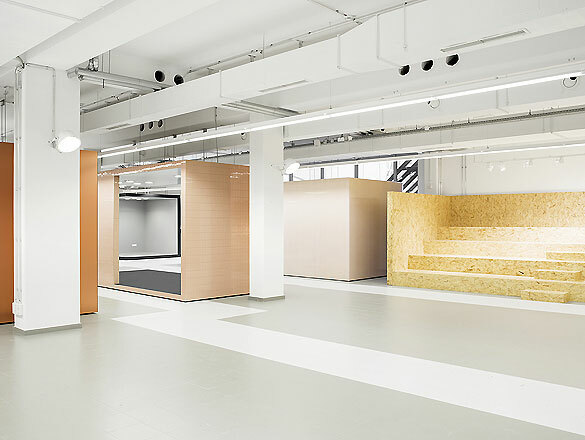 Located in Berlin, the third location of the Zalando online retailer was designed by Bruzkus Batek, an architecture, interior and furniture design office. 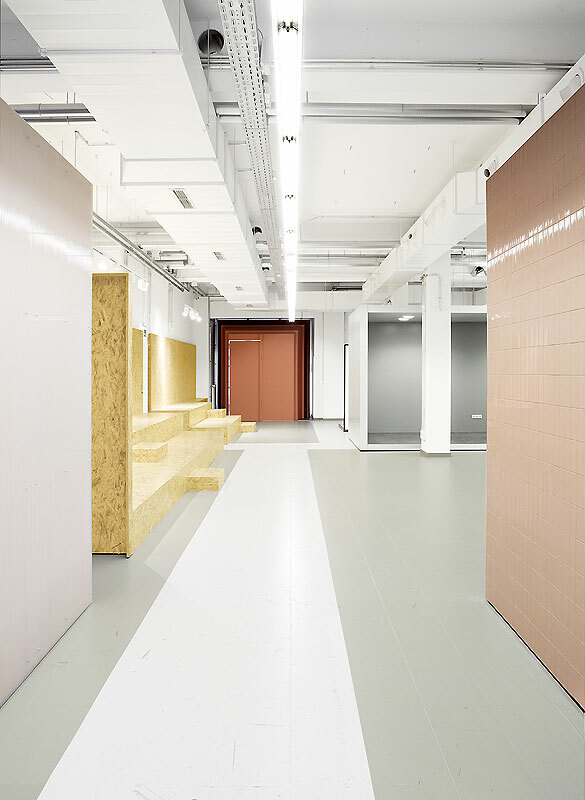 A former factory space was transformed into an interior meant to serve as an auditorium and showroom for fashion events and presentations. 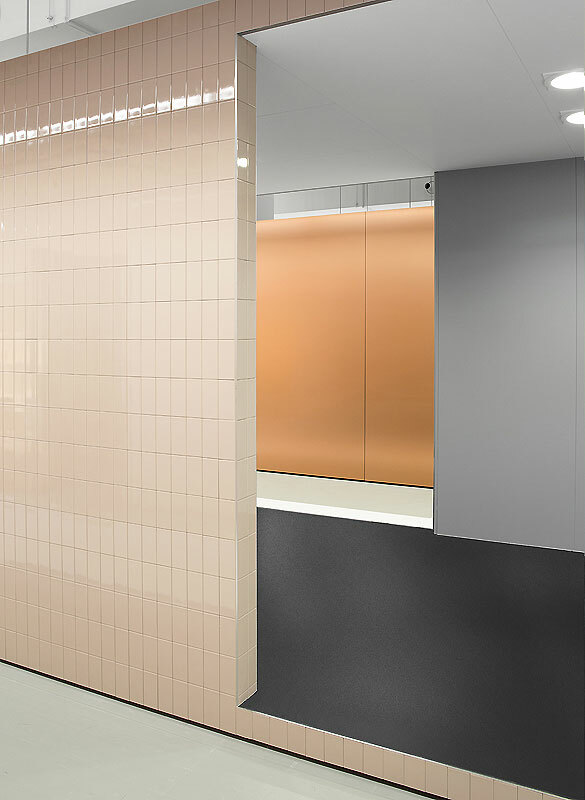 Rather than getting rid of the industrial vibes of the original building, the designers chose to contrast it with warmer display areas, where tiles in pastel colors or aluminum and copper backgrounds create the impression of a different space within the main space. 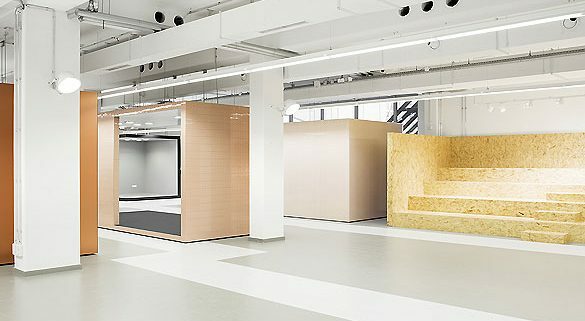 Such cube-shaped areas are used for displaying different fashion collections and are inspired by the way artwork is showcased in an art gallery. Here, every collection seems to be surrounded by an atmosphere infused by its own idea – a different world in every display cube. The elegant simplicity of the design has its source in the white background, the straight lines and the solid colors. But designers took another step in this direction by including OSB boards in the construction of the catwalk stage. 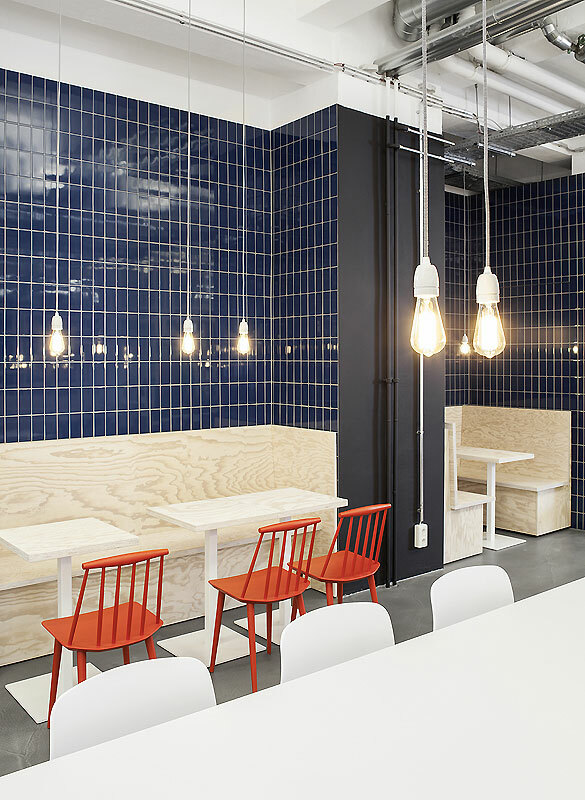 The space includes a canteen where the same elements (tile, wood and solid colors) remain within the idea of simple design. Where a splash of color is needed, it is usually rendered through mobile design elements, like the vibrant red chairs below. Neon and industrial-looking light fixtures keep with the industrial character of the space, yet the long pendant light pieces accentuate the height of the ceilings and the elegance of the finished space.